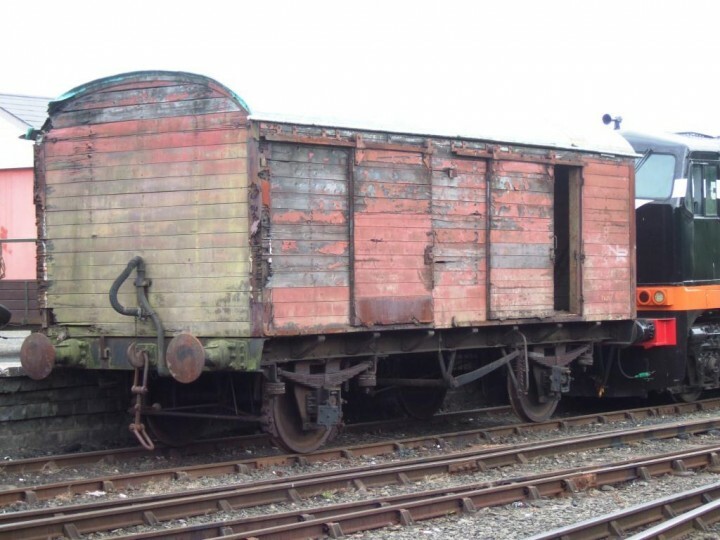 The V15 class covered vans were introduced by the LMS NCC in 1946 and were fitted with vacuum brakes to allow them to be attached to passenger trains. Harland and Wolff built fourteen for the LMS NCC in 1946-49. After the Ulster Transport Authority took over the NCC on 1st April 1949, Harland and Wolff supplied the railway with a further eleven underframes for bodies to be built at the UTA's Dunmurry workshops. 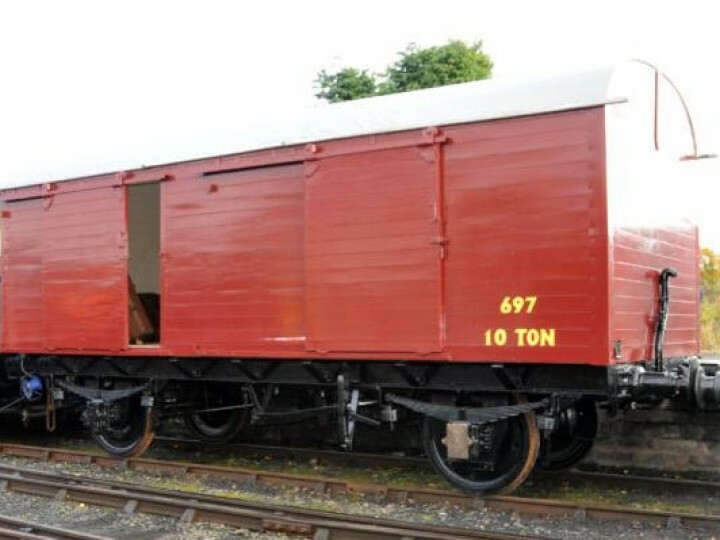 The 'Brown Vans', as they were popularly known, were a familiar sight coupled to passenger trains between Belfast and Larne, Londonderry and Portrush, and were used for transporting large items of freight, parcels and mail at express train speeds. 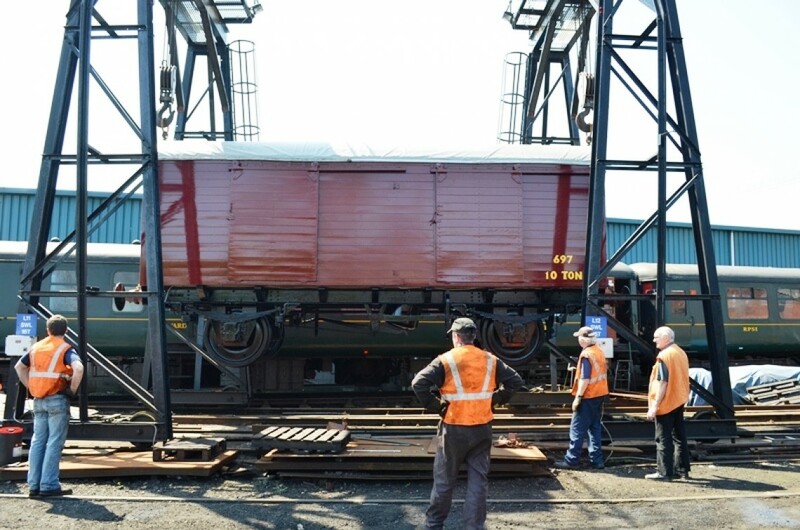 At 10ft 2in in width, the design made full use of the more expansive Irish loading gauge. Several were later fitted with air brakes to allow them to run with the diesel railcars built by the UTA in the 1950s. 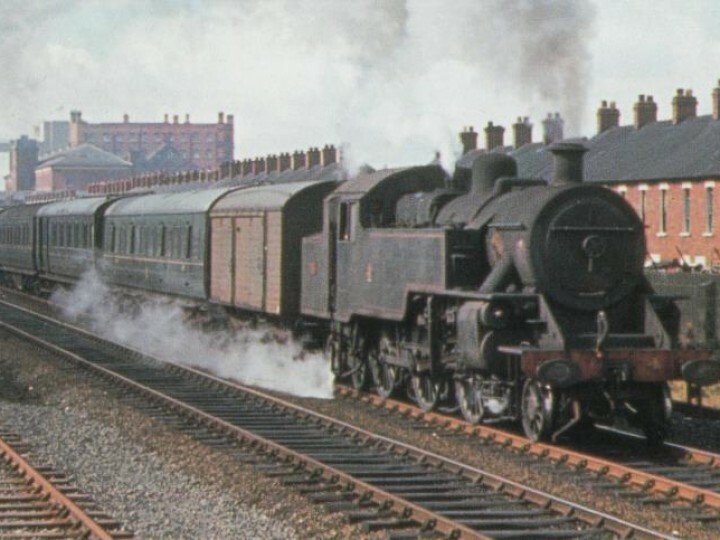 697 was originally numbered 1897 and was one of the batch built completely at Harland and Wolff in 1949. It was fitted with air brakes in 1958. The van, which had been lying in a very derelict state for many years since being acquired by the RPSI in 1980, was transported to Hydebank Young Offenders Centre outside Belfast in June 2010 and was used as a project designed to equip offenders with new skills. 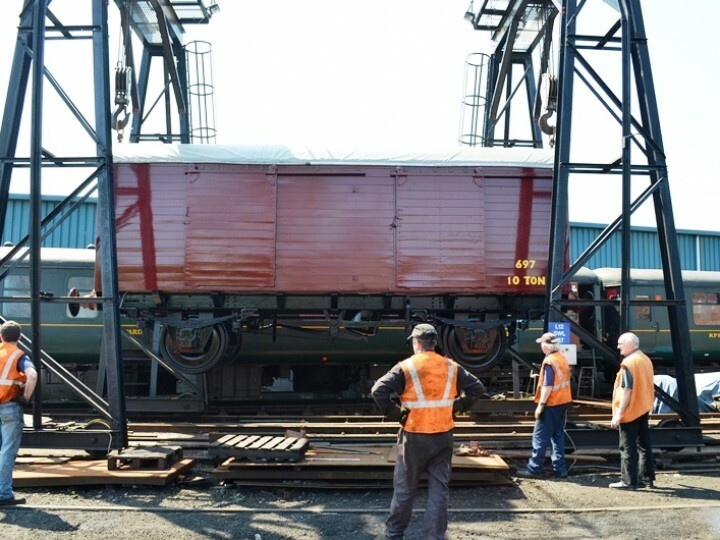 The two-year programme of intricate woodwork, metalwork, varnishing and painting was successfully concluded in May 2012 and the fully refurbished vehicle was returned to the RPSI at Whitehead by low-loader. The Opportunity Youth organisation oversaw the restoration with funding of £10,000 from the Big Lottery Fund's Awards for All, with the support of the Prison Service. 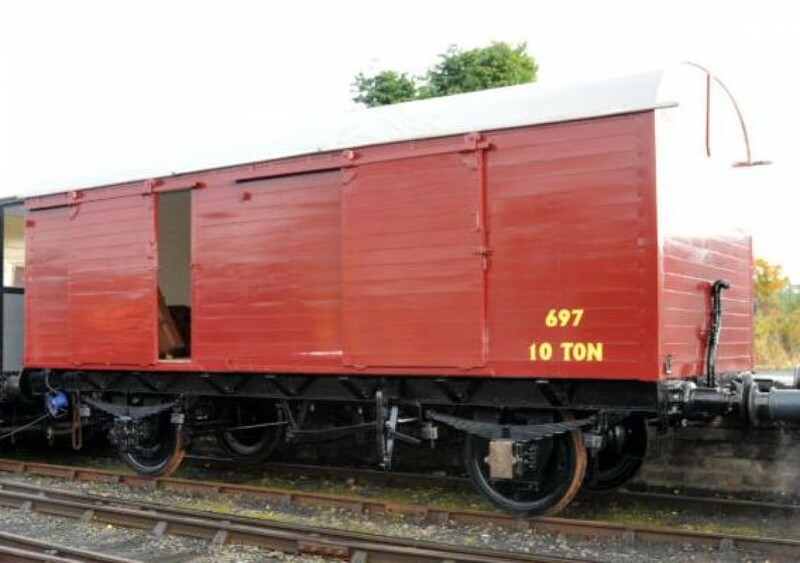 The vehicle is now on display at the Whitehead Railway Museum.